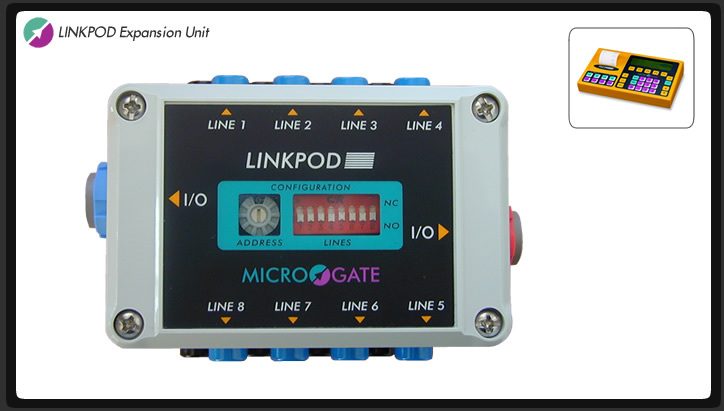 The LinkPod expansion module is available in both 3-input and 8-input models, and by daisy-chaining multiple units together allows REI2 users to increase the number of available inputs up to a total of 80 channels! For the average user however, a single 8-channel module is more than sufficient. In compliance with FINA swimming regulations, LinkPod attaches to the REI2 via a galvanically-isolated cable. Multiple LinkPods can be placed up to several hundred meters away from each other so the versatility of the system is very "timer-friendly".